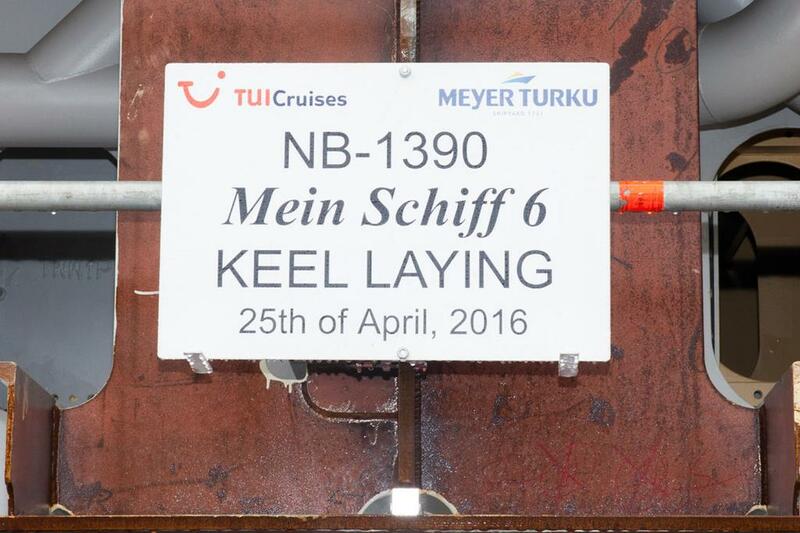 Mein Schiff 6, TUI Cruises sixth cruise ship which is currently under construction hit a major milestone yesterday, April 25. The ship, which is being built at Meyer Turku shipyard in Finland had its first block placed in the building dock. The keel laying, which is the first major block when constructing a cruise ship was celebrated at the shipyard. As tradition in the maritime industry coins were placed under the keel block to bring good luck for the ship. The ceremony was attended by executives from TUI Cruises and Meyer Turku. 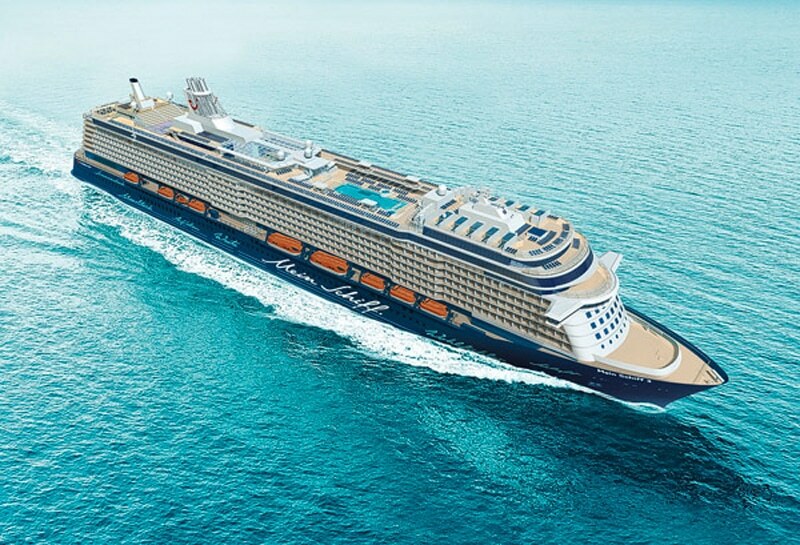 Mein Schiff 6 is the fourth ship in a new series of ships for the German based cruise line. The vessel will be the same design as Mein Schiff 3, 4 and 5. The ship will be approximately 294 meters long at 15 decks. There will be 1,267 stateroom carrying 2,534 passengers. The vessel will be even more energy efficiency and feature passenger amenities than previous builds. We’ll have to wait until 2017 when the ship enters service for TUI Cruises.